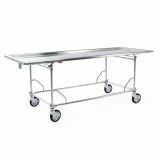 The Model 103 Combination Operating Table is a multipurpose table, ideal for embalming, transferring and dressing. For added convenience, each end can be adjusted independently for individual working height and drainage. 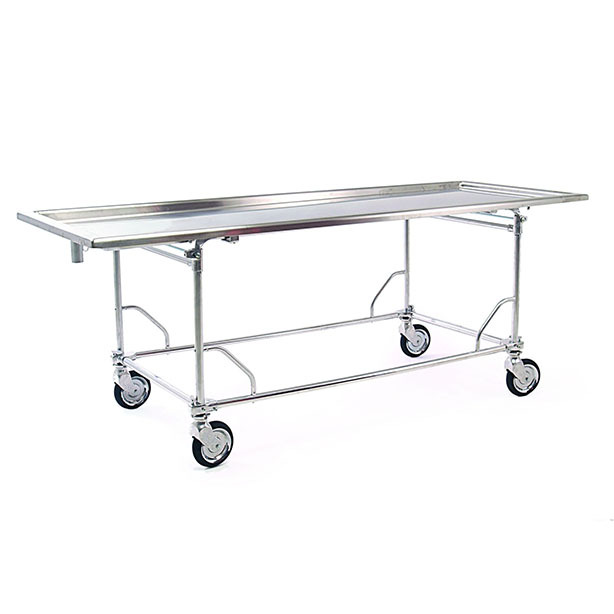 The stainless steel top is durable and rigid, featuring a convex surface and deep side troughs for efficient drainage without the need for splash guards. It features 6″ wheels lock to keep table stationary while in use.